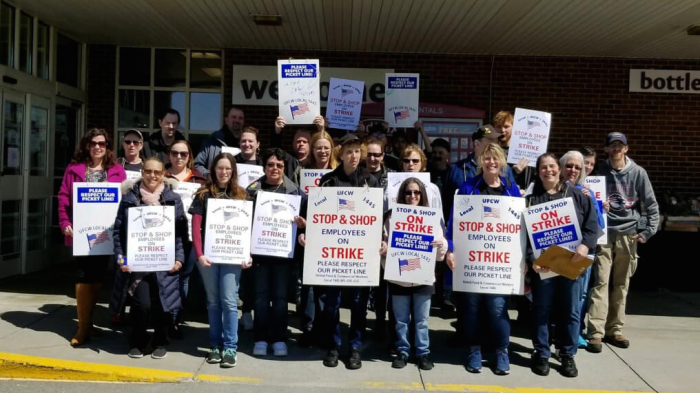 DAY ONE: After weeks of negotiations with New England’s most-unionized grocer Stop & Shop, the UFCW has ordered its 31,000 members in New England out on strike. NEW ENGLAND—On Thursday, after failing to reach an agreement on their already-expired contracts, five locals of the United Food & Commercial Workers (UFCW) ordered their 31,000 members who work at New England’s Stop & Shop out on strike. 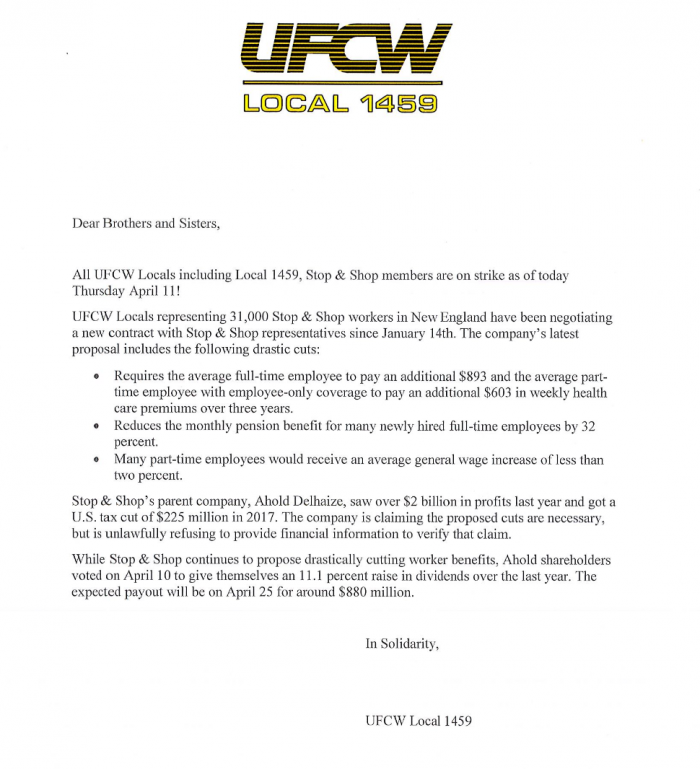 “After 35 bargaining sessions with your employer, Stop & Shop, I along with the other Presidents of UFCW New England have ordered a work stoppage at all Stop & Shop stores in New England,” stated Timothy M. Melia, President of UFCW Local 328. Kristen Johnson, a 12-year Stop & Shop employee told MassLive.com that she is hoping the strike will lead to a quick contract. However, not all employees are prepared to stay out for the long haul. At least one employee has already had a GoFundMe page set up on her behalf. Below is just some of the social media posts so far this evening.